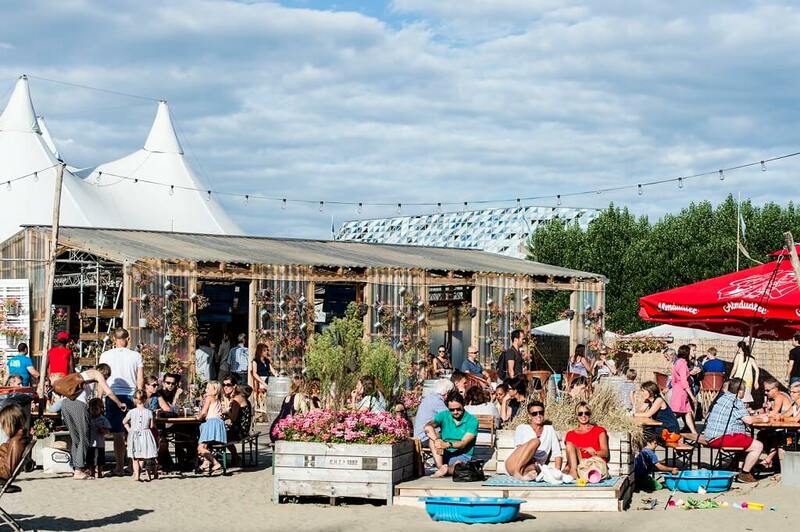 The ZOMERBAR (SUMMERBAR), a piece of green in the city. With a beach to enjoy the sun and hammocks to laze in the shade of the trees. Children enjoy themselves in the playground. For them there is also the SUMMER LIBRARY, with an extensive collection of prints and children's books. Adults enjoy sunny cocktails, (h) fair food or a game of petanque. The SUMMER BAR is also the place of the circuses, with cozy tents for the most beautiful circus of the moment for the whole family.